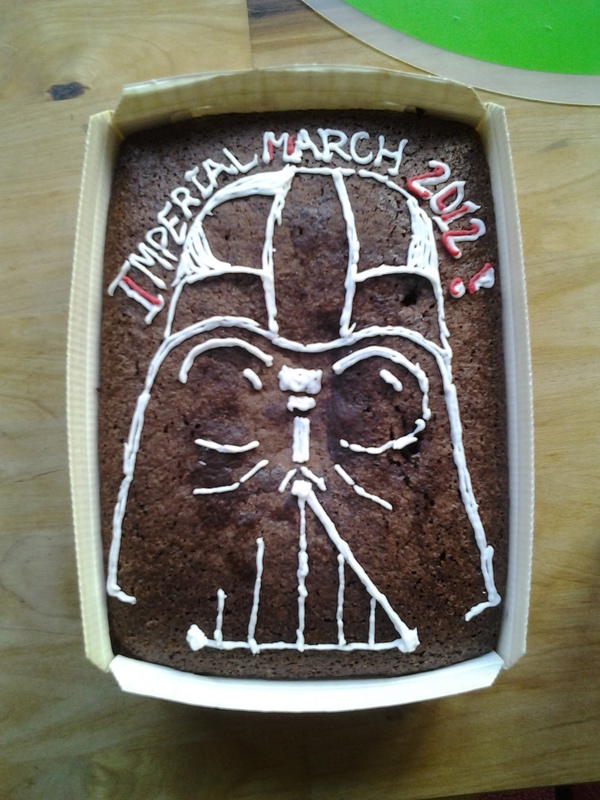 I’m a little late with this; after all, Imperial March is over since last Sunday already. But I wanted to take a few minutes to give a short evaluation of it, and of my state of creativity after this month. Recap: What was Imperial March about? It was about celebrating villainy/villainous characters/creepy things together with a few friends. My resolution? I wanted to write a piece of short fiction every day to switch back into my creative mode. Did it work? Well, seeing that March has 31 days, and I managed to write 9 pieces, obviously I did not get as much done as I hoped I would. In fact, I am a little disappointed at how little I actually managed to write. At the beginning I was still writing (almost) every day, and then, just like always, university interfered and dumped a heap of work on me. Even though I probably (sometimes) had time to write (a little bit), my creativity was more or less hiding with the monsters under the bed. The bad thing is that I knew there was something creative lurking around; if there hadn’t been anything at all, I wouldn’t be disappointed with myself. But as usual, other things stifled creative energy and the will to write, so that in the end I was simply tired and too exhausted to sit down and write something myself. That sounds more negative than I mean it, though. I did enjoy the challenge, even though (due to external circumstances) I couldn’t completely live up to it. Let’s look at it in a different light though: I wrote 9 pieces of flash fiction, and I’m somewhat proud of all of them. That is about… 8 more pieces than I write in other months. What’s more than that, I managed to create a concept that is completely removed from other people. Because of my rather non-creativity the past few years, what I wrote was mainly in collaboration with other people, i.e. short scenes from RPGs of which only one has an original story concept (of a story that I made up with a friend); the others are set in the world of the German pen&paper role-playing game Das Schwarze Auge, or, less frequently, in World of Warcraft. I like those collaborations, especially the one with the original story concept, and I enjoy working together with others rather than completely by myself. That’s what I love about film and theatre as well: I am more of a collaborative artist, I enjoy other people’s input, and I develop through them, which is much better than standing still creatively, or in any other area for that matter. However, I have grown frustrated with this recently, and it makes only sense seeing that I am having trouble being creative when under stress, too. Collaborating means to rely on other people, after all, and while I enjoy that, it doesn’t make it easy when you want to write and someone else doesn’t, when you’re having ideas and no outlet because your character can’t go and interact with others’ characters when you want to. This goes two ways, of course: I may not be in the mood to write in a certain system, or a certain character, or a certain storyline either, so I’m blaming nobody for it. Other than that, this blog is supposed to become a little more lively, time permitting. Apart from the creative parts, I have a whole range of things I want to write about, many of them being reviews, of course. I’ll get there when… well, when I get there. The Easter weekend is just around the corner, which means that I’ll hopefully have a little more time to write, whatever I’m going to write. Of course there are other things going on that occupy my mind (and my time), including the very difficult choice of which MA programme I should end up doing, since I’ve been accepted to two (so far) that are absolutely amazing. If I could, I’d do both. Anyway, that’s it from me, five days late. In the end I can only say that Imperial March was lots of fun (not only the writing, but also our little receptions), and who knows, maybe I’ll end up doing the same thing next year. April 5, 2012 in Creativity.